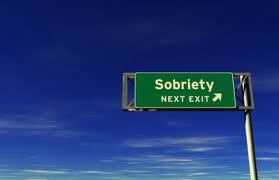 In sobriety, the new habits you develop can be as important as the things you give up. It can actually be easier to adopt better ways of doing things rather than always focusing on giving things up. If you develop some positive habits then the bad behaviours will sometimes just disappear without too much effort, although this is certainly not usually the case with addiction. The fact that you have been able to stop drinking or using drugs has allowed you to see that it would be possible to overcome even the most entrenched habit. If you can succeed with overcoming addiction, you will be able to do so much more. Below are 12 positive habits that you may want to develop in sobriety, as these will strengthen your recovery and increase your general level of happiness. The path to happiness is not about being able to accumulate more and more possessions and experiences, but in being grateful for what you already have. Modern advertising has created a type of scarcity mentality whereby people feel they need more and more in order to be happy. This way of thinking leads to an endless sense of seeking, with happiness always being in the distance because there is always something new to possess or achieve. Far too often, it is only when people are on their deathbed that they realise how much wonderful stuff they already had in their life. If you develop the habit of being grateful then you will always have things to feel happy about. It means that you will be training your mind to automatically seek out the good, leading to a life that will generally feel much more satisfying. One way to do this is by developing the practice of listing all the good things in your life; you could do this in the mornings or at the end of the day. Those individuals who are constantly being negative tend to be hard to be around. The fact that they are always talking about how bad things are means that they create a world where all they see is the bad stuff. Your words have a powerful impact on your psyche, so you should choose them carefully. If you get into the habit of speaking positively, it can have a huge impact on your outlook and even your energy levels. There is usually a way to put a positive spin on things; for example, if you are feeling tired then rephrase this to ‘I could do with some more energy’. It is common for individuals who develop addiction problems to develop an almost automatic response of saying ‘no’ to new ideas or new activities. This tendency is sometimes referred to as ‘demand resistance’, and it can get in the way of your ability to enjoy life. The fact is there are probably many things you have not tried that you would enjoy if you did; you are not going to know this unless you develop the willingness to experiment. Sometimes, the things that seem the least tempting in the beginning that can turn out to be the most fun. The only thing you are going to find in your comfort zone is more of what you already have. You need to be willing to push yourself if you hope to get more out of life. This is the only real way that you can develop your potential and improve your situation. If you wait for the good stuff to find you, this can mean that you begin to find recovery to be a bit of a disappointment. You are unlikely to ever again have to get out of you comfort zone to the same extent as you did to break free of addiction, but you will need to push yourself regularly so you can achieve more. You want to keep setting the bar high, but not so high that your goal becomes unrealistic. It is also important that your goals are clear while needing to be something that is truly meaningful to you. Dump any goals if your only motive for achieving them is to the idea that you ‘should’; this is usually not a passionate enough reason for doing anything. It is also important to break large goals into smaller ones to make things more manageable. One of the other great benefits of breaking large goals up like this is that it means every time you hit one of these targets, it gives your motivation a boost. Your intuition is capable of keeping you on a path towards happiness if you just learn to listen to this inner-voice. This is a skill you need to develop because it is so easy to mistake your intuition for the demands of the ruthless ego. There can be a special feeling associated with the voice of intuition, a type of knowing certainty, so you need to develop your ability to recognise this. The most important person you need to be honest with is yourself. The fact that you fell into addiction will give you a clue as to how clever the brain can be when it comes to deceiving you. If you commit to living a more honest and open life then you will be far less likely to fall into this sort of trap again. It is also important to be honest with others so they can provide you with feedback that could help to keep you on the straight and narrow. Morning habits can put you in the best position to get the most out of each day, so it is recommended that you add some of these to your routine. This could include practices like yoga, meditation, positive visualisations, or gratitude work. It is also important to eat a healthy breakfast each morning because this will set you up for the rest of the day. You do not have to be a Buddhist or follower of a Hindu religion in order to benefit from planting karma seeds. This is simply the idea that doing good things now will generally lead to positive outcomes in the future. If you try to plant a few positive karma seeds each day, you will see these blossom in the days, weeks, months, and years to come. If you have an inner-dialogue that tends to be overly critical, it can actually be holding you back in life. It means that you have a bully living in your head, which can be incredibly demotivating. It is important that you develop the habit of self-compassion. This means that instead of being critical, you offer yourself the same level of compassion you would give to a good friend. Thinking more about others is a sign of emotional sobriety as it means you now have more to give the world. Thinking too much about your own situation can only ever make you miserable, but an outward look on the world can be a source of great happiness. Successful people do not achieve things by going it alone. Even entrepreneurs like Richard Branson do so well because they know how to find the right team. You need to get into the habit of asking for help when you need it and never view this as a sign of weakness – it is not asking for help that is the real weakness.